For this picture Vasily Andreyevich Tropinin received the title of academician. The artist was an incredibly talented portrait painter who lived and worked in Moscow. He painted portraits of the most noble people of the capital, and he captured the heroes who took part in the war that took place in 1812. The Creator created many canvases in which the most inconspicuous residents of Moscow were depicted – ordinary soldiers, ordinary people, the poor and the elderly. In each of them, he saw a unique personality, which was an inexhaustible topic for work for Tropinin. He writes works that differ in stunning colors, subtly feeling the colors and shades. His coloristic decisions amaze and surprise, forcing him to admire Tropinin’s magnificent mastery of the brush. He preferred to actually look at the world, which formed the peculiarity of his works and was called critical realism. The artist preferred to be faithful to naturalness, therefore he turned to the origins of Russian art. 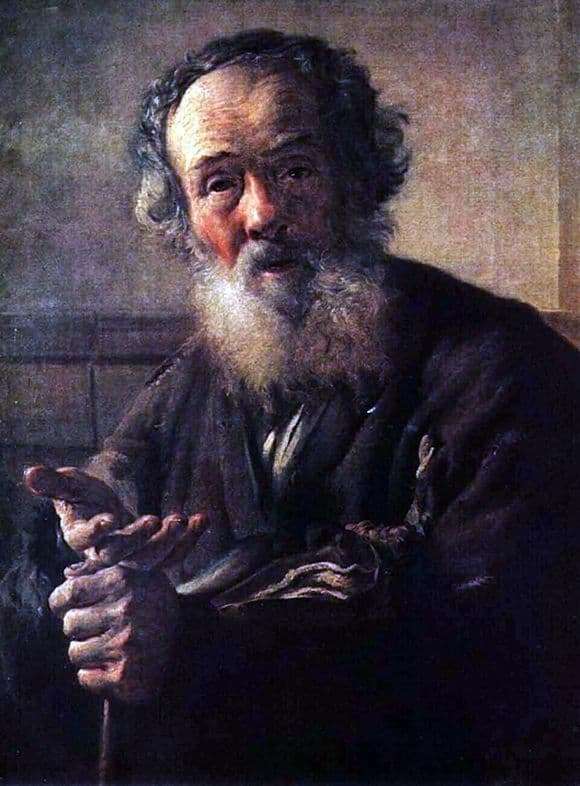 In the portrait of an old beggar one feels an indescribable flavor of the Russian soul, harmony and expressiveness, making the portrait alive and memorable. The artist carefully draws every detail to give his paintings a sense of completeness. He was a true master of realistic and romantic portraits. All the characters depicted on his canvases somehow interested Tropinin, and he tried to express their inner world as sharply and deeply as possible. For him, the social position of a person is not important, because the creator tried to look into the soul of a person, depicting what he feels and sees. He lived a long and rich life, devoting it to artistic creativity and leaving behind him a rich legacy that proves the genius of this great master – portraitist.